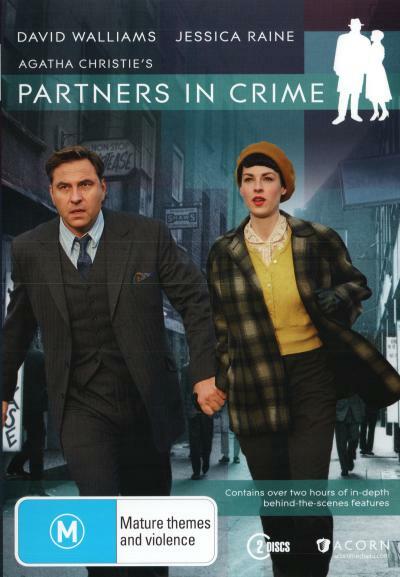 This is new 2015 Agatha Christie's Partners In Crime DVD starring Jessica Raine from Call The Midwife, Little Britain's David Walliams and James Fleet. Set in 1950s Britain, the drama sees the beekeeping couple stumble into a world of murder, undercover agents and cold war conspiracy. Tuppence is a woman who sees adventure round every corner, throwing herself head first into every mystery with passion and fervour, determined to get to the truth no matter what it takes, much to the dismay of her more cautious husband, Tommy. Click the button below to add the AGATHA CHRISTIES PARTNERS IN CRIME - COMPLETE SEASON 1 to your wish list.